Zoo visitors can glimpse the tigers—up close and personal—from within the Field House. 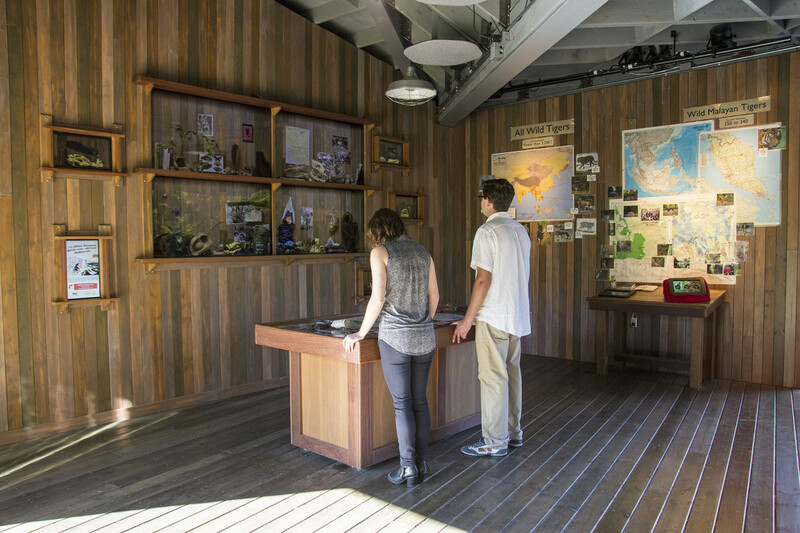 Physical objects on the central work table relate to the Malayan Tigers' story, and trigger video content on the display. 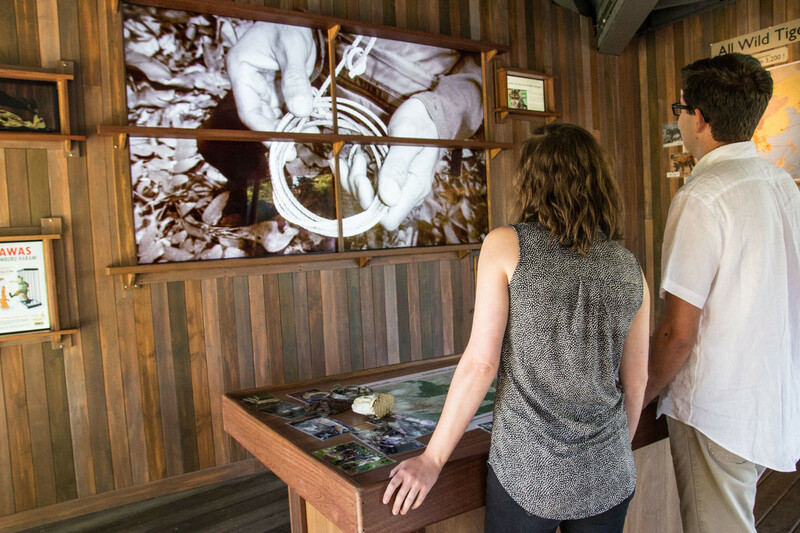 Visitors learn about tiger survival and statistics through short films displayed on a central screen. Touching an object on the artifact table triggers a series of clips that play on the larger screens, explaining their significance to conservation. Narrative film clips inform viewers on the most pressing threats to tigers and their habitats. Participants can join the Tiger Team. 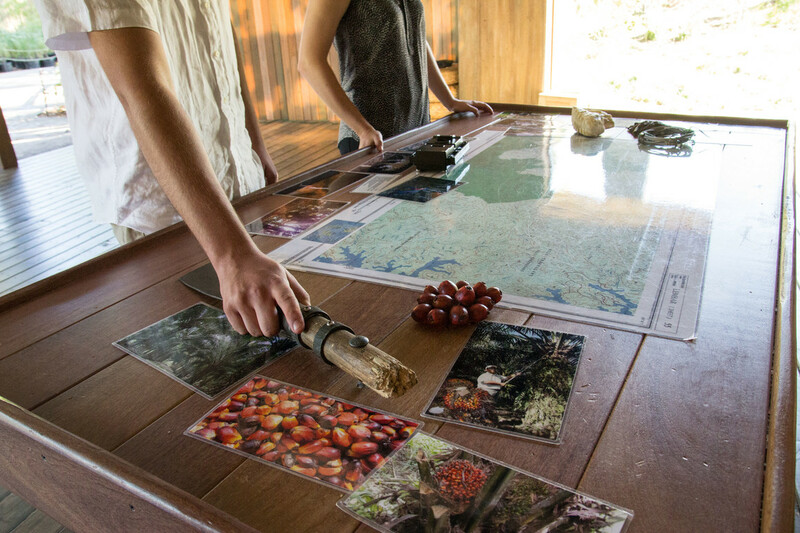 The Conservation Action Stations contain three distinct activities. 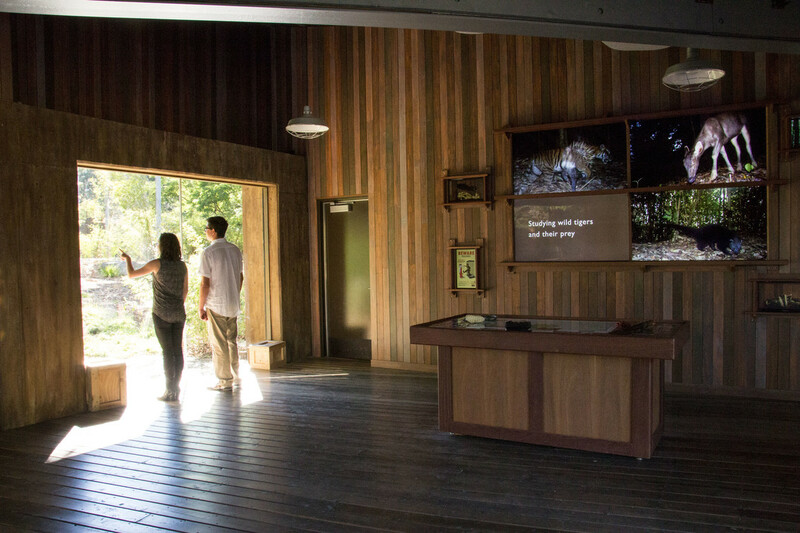 With the much-anticipated arrival of three Malayan Tigers, Woodland Park Zoo asked Belle & Wissell to create an interactive exhibit to accompany their debut. 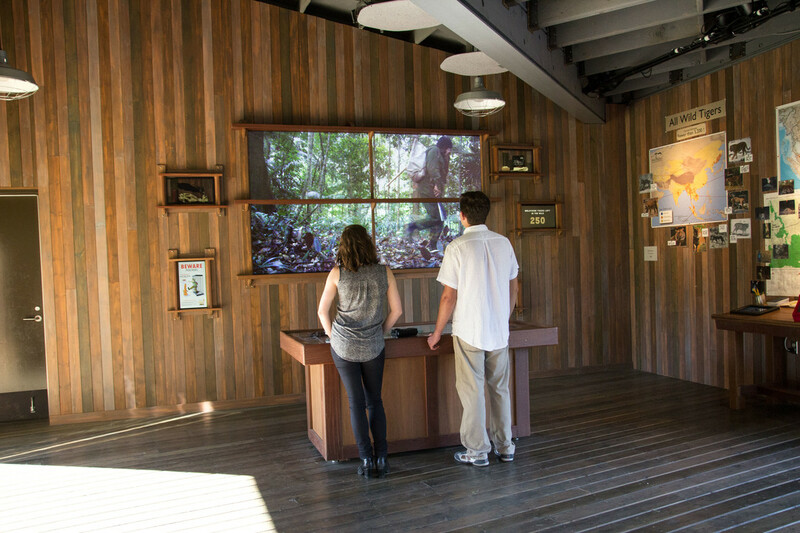 The Conservation Field House features two distinct experiences: an immersive media installation and two interactive tablets, each containing three activities. Zoo visitors can catch a glimpse into the daily lives of field biologists working to protect tiger populations and their habitats. A central table, strewn with documents and maps, also features various items frequently used and encountered by conservationists. When a zoo visitor touches an object on the main work table, nine displays—which at first appear only to be part of the Field House environment—come to life, presenting short films that tell important stories about saving the Malayan Tigers. This approach includes surprising physical-meets-digital interaction—delivering crucial information with lasting impact. 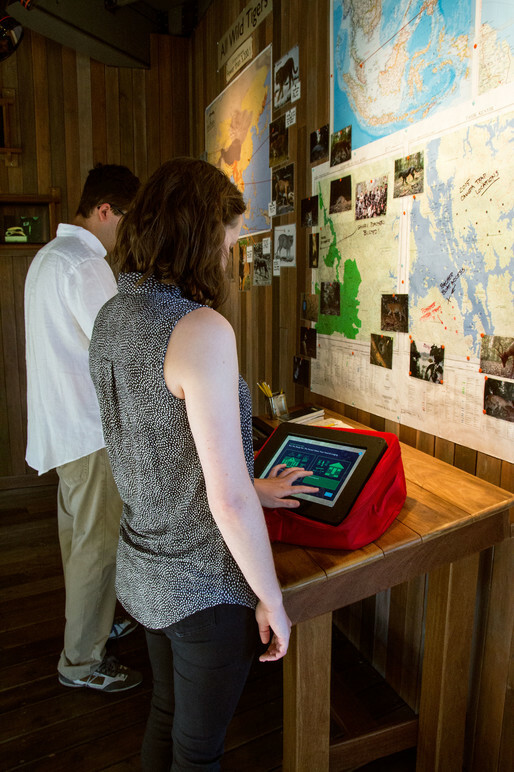 Two touch tablet stations—outfitted with rugged protective enclosures like those used in the jungle—offer visitors more individualized engagement. Participants choose between three activities: a Conservation Quiz, Notes of Gratitude, or the Tiger To-Do List. 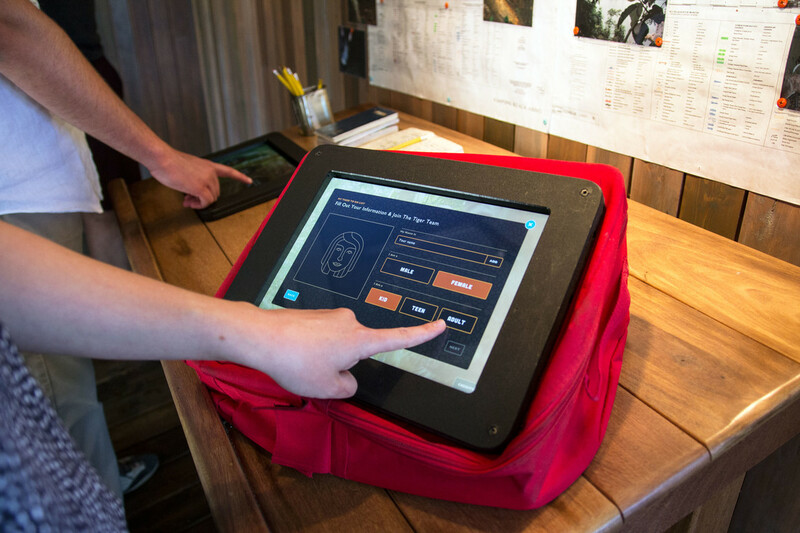 These interfaces invite the user to envision themselves as a key actor in the efforts for tiger conservation. Through their quiz results, messages to individuals in the field, and pledges of commitment, each zoo visitor leaves the Conservation Field House with a renewed sense of their own ability to affect positive change.